Even though social media interaction is so important we often get lost in it and focus on it alone. This may mean we overlook the amazing power of our own blog and it as a powerful tool to create discussion. Essentially, a good blog makes people feel welcomed and encourages them to leave comments. By facilitating expression, we encourage feedback and this benefits you and your brand as a whole – so, let’s look at how to do it. If you write a post and want people to comment, all you have to do is ask them to remark or give their opinions on what they’ve read – it couldn’t be simpler. Just make the sentence relevant to the post and you should see a significant rise in blog comments. There are a number of settings on both WordPress and Blogger that create variable levels of ease for interaction. The sweet spot here is finding the balance between making it easy to comment and preventing spam. To find this ideal area all you have to do is choose the ‘discussion’ option in the WordPress blog settings area. This means users only need to leave a name and email. However, to prevent spam you should turn on comment moderation for those who haven’t posted before. You can then approve the newbies and from then on, WordPress allows them to post without moderation. Askimet is also quite a good plug in for picking up spam and uses a quite complex algorithm to do so – it’s worth installing on your WP blog. What’s the comment policy? 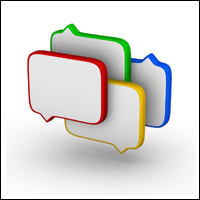 Will you allow people to leave negative comments; can they use ‘colourful’ language? Do you allow people to post below promoting their own business? These are questions that have to be answered and adhered to. Take some time to think of the ins and outs here and do some research before deciding on a blog comment policy. As is the same with social media, you need to respond to each and every comment. If you ask for posts you also need to have the courtesy to engage with them. You’ll most likely receive email notification when a comment is made, try and reply as quickly as possible as nothing looks as bad as a blog with loads of unanswered comments. This mind-set also helps encourage discussion with others and so benefits your blog in the immediate and also the future. Make sure that you value people’s opinion and encourage them to be part of your community. You need to encourage people to feel good and this is aided by a mixture of things. Firstly, you need to appreciate that people may not agree with you, or that they may have different opinions on what you’ve written. Respect this and don’t see it as an attack on your blog. Welcoming differing opinions and engaging them will really help your blog grow. They’re not trolls, they’re just people with a different opinion and you may even learn something, so be polite and encouraging. Blogs and blog comments are a great way to create online communities and often spawn ideas for future blog posts – so cherish them. Need help with your blog? Get in touch with My Social Agency for a review.